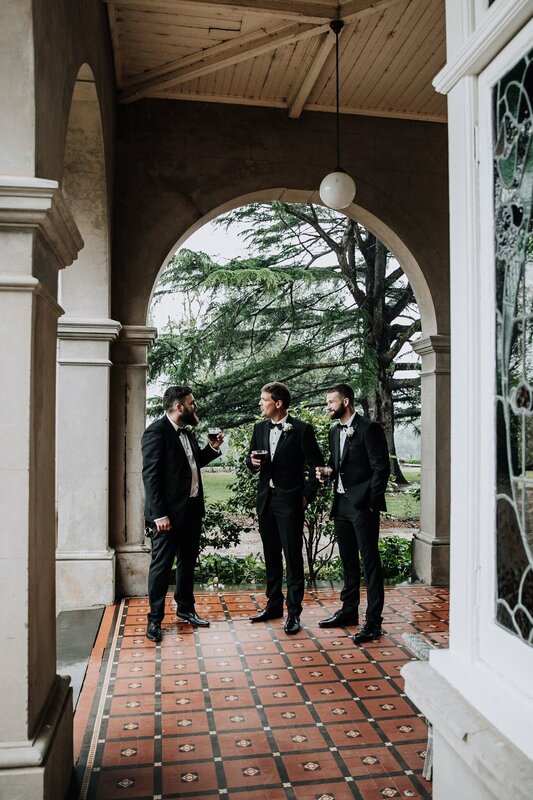 So much planning went in to this magical day day. 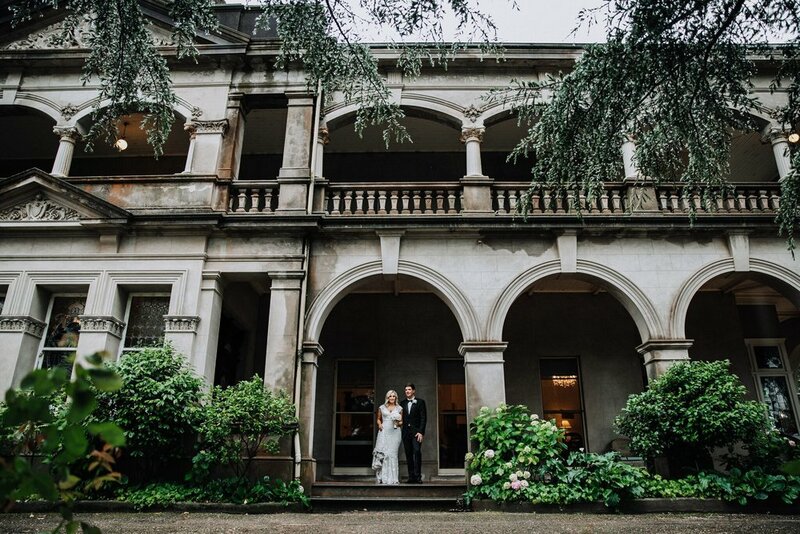 of her and Nick's wonderful day at Kilmany Park in Sale VIC. 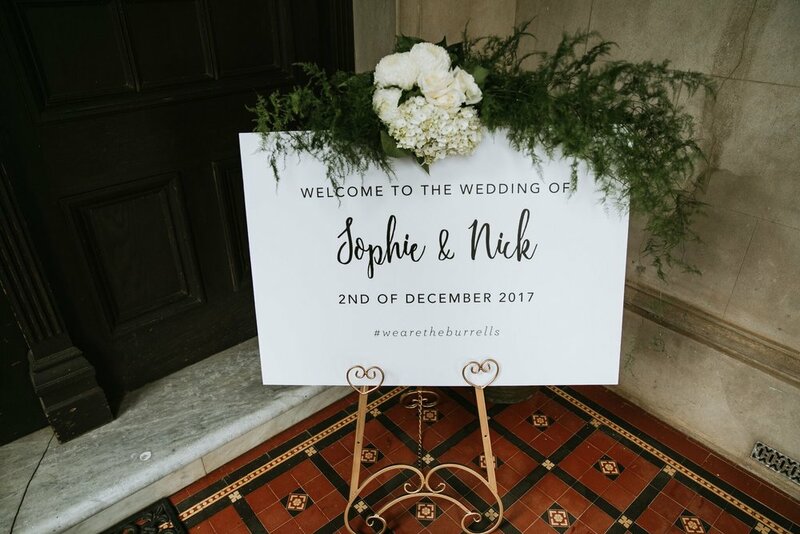 Sophie designed their day right down to the finer details of the stationary, the props and furnishings as well as vendors and suppliers. 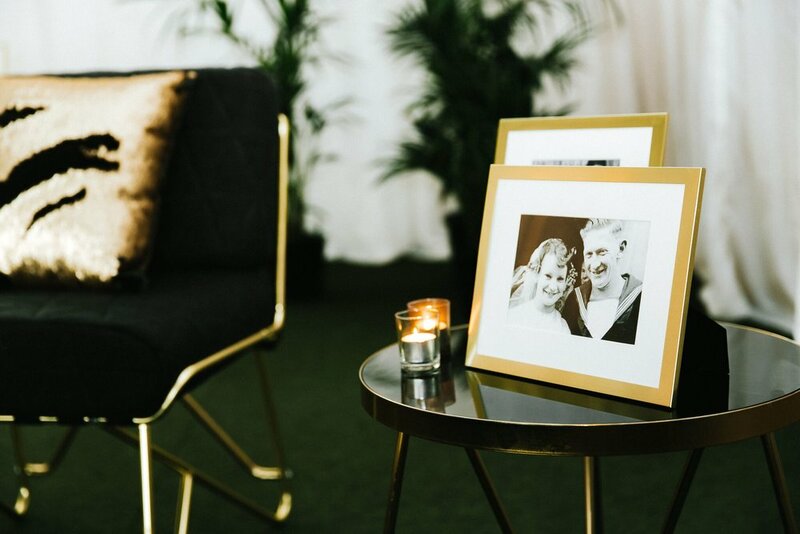 It was us that were enlisted with the role of pulling everything together for them, coordinating their chosen suppliers and bringing their visions to life with setup and styling on the day. The end result; a stunning sea of elegant whites and greens paired with hints of regal gold. 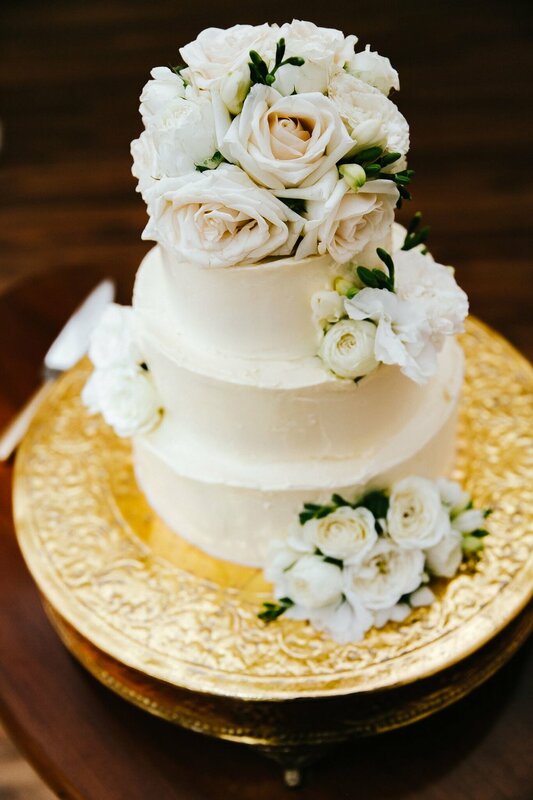 Tall floral centrepieces stood proud in the silk-lined, high ceiling reception pavilion with pressed linen, gold edged charger plates, gold tea light candles and stories of floral installations that adorned the bar, the gift table, the lounge and hallways. 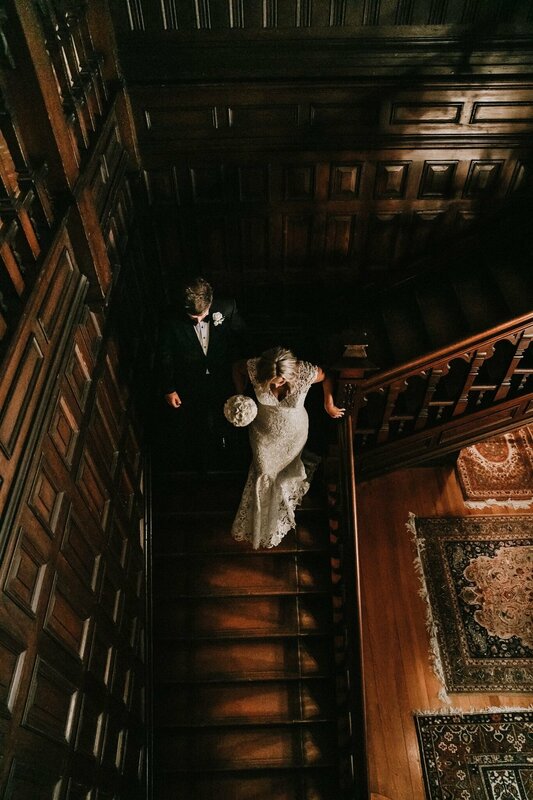 Every corner you turned, stood an elegant touch of detail that reflected their beautiful day. 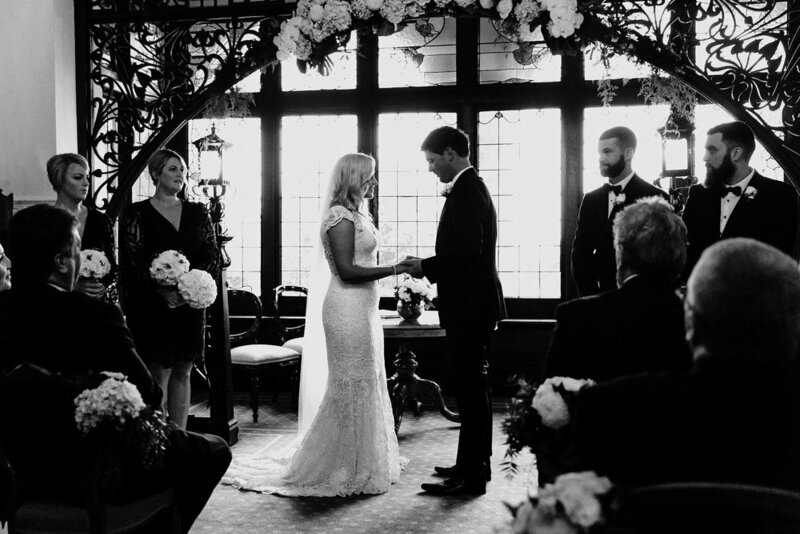 And although Mother Nature didn't quite let the sun shine, the plan B for their ceremony was equally as stunning in the mansions's dining room with the most gorgeous intricate timber detailing around the bay window. A truly beautiful day for two lovely souls. Sophie and Nick, it was our absolute pleasure.